You might be seeing another Gold phone coming up real soon. Shortly after the Apple revealed their gold champagne iPhone, Samsung took a bold step to counter offer it’s consumers with something just as good. 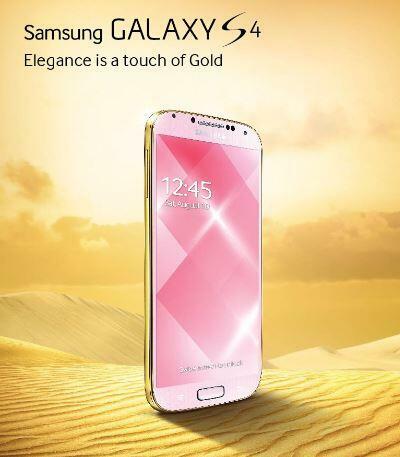 Their offer was a new Gold Edition Galaxy S4. Looking at the visual, it does look very exclusive and classy. You can see two options that is available. 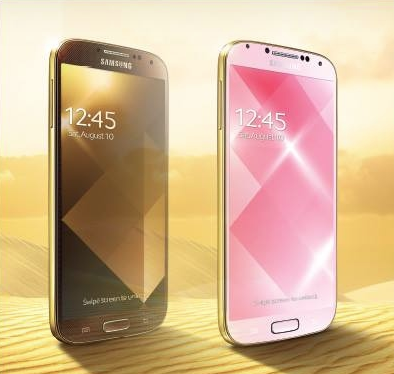 There is the Golden Pink or the Golden Brown edition both of which Samsung is pushing off at the United Arab Emirates’ social media platforms. From the look of the ads, it seem to be scaled towards the middle east market. One thing to note is that Samsung also has the ability to counter Apple’s marketing efforts. I actually like the Golden Brown Edition and do hope it would make it’s way to Singapore.